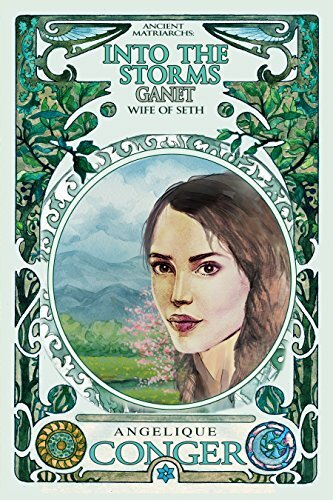 about this book: Ganet's (pronounced like Janet) journey from an adventurous wild woman to one who considered her actions was long, for her and for me. She had to learn to think before she acted, and in the process, ask for forgiveness from her often long-suffering husband. I suspect there is a lot of me in Ganet. I forget to think before I act, or more often, before I speak. Still, I end up in trouble, as does Ganet. I think I've figured it out, and something new, and unfortunately ugly, blurts from my mouth and I'm struggling, once again, to beg forgiveness. Choice and accountability seem to be broad themes for my books, perhaps because I see a need for more of us to become accountable for our actions, regardless of the pain it causes us. This is important to remember. Sometimes, we face the consequences for our own choices. Other times we stand in the path of consequences of choices others make. Regardless of who made the choice, how we respond to these consequences makes all the difference in our lives. I have made some decisions and choices that have been good, and some others I'd rather not remember. I've had to live with the consequences of other's behaviors. It helps me when I remember my ultimate goal is to understand and respond with love. In Into the Storms, Ganet learns to be responsible for her choices and live with the consequences of her own and other people's actions.